Because of our focus on coaching safe and efficient movement, we require anyone new to Crossfit to complete an On-Ramp course. This will introduce you to all of the basic Crossfit movements. There are four options if you are interested in starting at Calibrated Crossfit. If you are previously active in CrossFit refer to Option 4. In a small group setting, you will be given a brief tutorial on all types of movements that you will encounter in the group Crossfit class. We cover the basic positions for squatting, Olympic and power lifting, as well as various body weight movements. The Group On-Ramp is fast paced, so you will learn the basics and then later have the opportunity to build on that once you join the regular class. We recommend this option for those who are accustomed to being physically active and are injury free. If you have recent injuries, or have been out of a regular exercise routine for some time, you may want to consider the Private On-Ramp. The Group On-Ramp meets 3 times per week for 2 consecutive weeks. Group On-Ramp Schedules – is based on your current schedule. We will set this up on a person to person basis. Our Private On-Ramp is designed to meet a variety of needs. This option has much greater schedule flexibility, and is tailored to an individual’s fitness level. This will cover all of the movements necessary to prepare you for starting the group CrossFit class, but you will receive 1-on-1 coaching to work on any specific technical issues. The Private On-Ramp is excellent if you are coming back to exercise after injury, if you are new to exercise, if you have a hectic schedule, if you learn best with individual coaching, or if you just want to refine more of your technique before starting the group CrossFit class. The Private On-Ramp consists of six one-hour personal training sessions that you schedule with a coach. *Please note, if you have pre-existing injuries or are deconditioned, additional private coaching sessions may be required before moving into our fast-paced group classes. If you are proficient with all of the core movements of Crossfit, then you have the option to test out of the On-Ramp course. We will assess your barbell movements (Olympic and power lifts), gymnastics movements (pull-ups, handstands, dips), and other body weight elements. If you are unsure if your movements will meet our high standards, then please take advantage of our On-Ramp options. 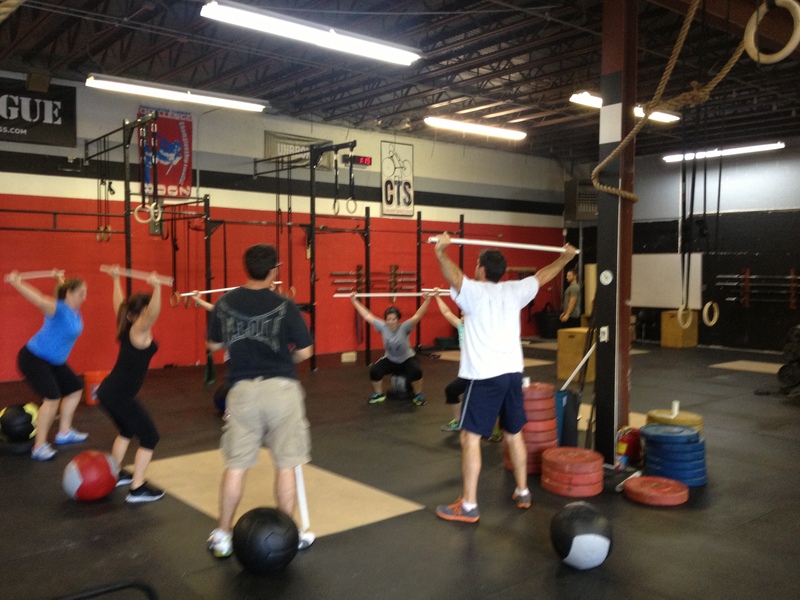 We want to ensure that you are ready to safely join the group Crossfit classes. Price = $25 for a 1-hour test session. Please call Arjuna Smith (513) 309-8458. 4. Coming from another Affiliate? After you give me a heads up that you will be stopping in you can try out a few classes to experience the coaching staff and our great community here at Calibrated. If at that point you decide to become a member we will arrange an appointment so that we can go over basic coaching cues we use for all our barbell lifts.